I’ve been planning on doing a bit of a photo project for a while now. It’s been something I’ve been trying to add to my store for a bit now, but really haven’t had time to do it. I was also missing out on a bit of the inspirational side of things when it came to a project like this. However, recently I finally made it happen. If you read my review of Photoshop Elements 13, you might remember that I showed off a tool that makes creating black and white images really easy. There is also a tool that allows you to do some selective colour within those black and white images. Thus, I thought it would be a cool idea to do a photo book that incorporates that element of subtle colour into the book. 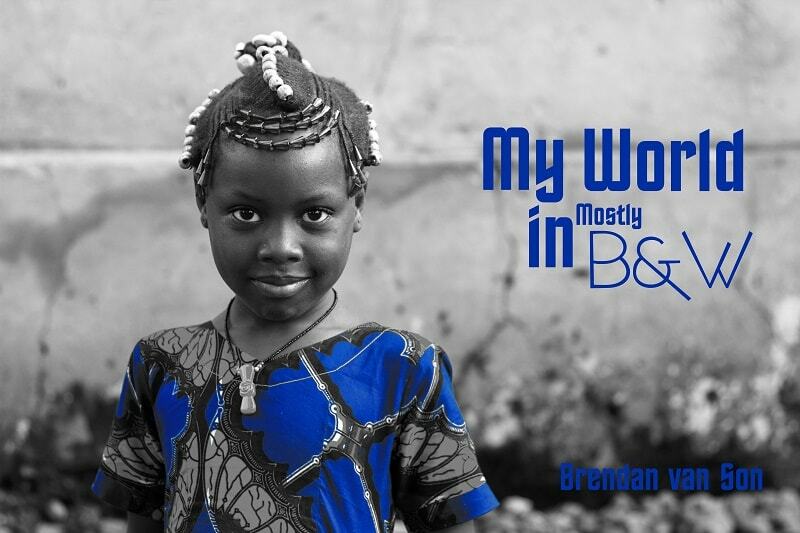 I’ve created a photo book called “My World in mostly B&W” which takes 25 of my favourite images and twists them from their typical vibrant form into a black and white image with just a touch of colour. I love how blending this effect into the images creates a completely different mood to the original. Anyways, below is a video where I share some of the images in the photo book as well as show you how I made the book using the tools in Photoshop Elements 13. If you’d like to buy the book, or give the book as a gift as a Christmas present, the cost is: $50 including shipping to Europe or North America. That price means an extremely meager income for me, but a cool product for you to put on your coffee table. The hardest part of this project was choosing the images. I basically went through all of the images I’ve taken in about 80 different countries and fiddle with them. Of course, some of the images looked great in colour and others looked amazing in black and white. However, finding images that looked good with a little touch of colour somewhere was really challenging. In fact, I had to leave some of my favourite images of all time out because I just couldn’t find a way to make them work. What wasn’t hard, however, was creating the book with the tools provided in Photoshop Elemetns 13. To edit the images, I used the B&W tools, sometimes more than one of them per image, and it really only took a couple minutes each to edit a particular image. Of course, one of the reasons so many people use Photoshop Elements is because it is a great tool for photo projects. Within the framework of the organizer there are options to make calendars, photo books, and other things at just a click of a button. If I wanted a quick way to create a photo book with really minimal amounts of effort, there’s no better tool. I’ve included a preview of what the inside pages of the book look like. I opted to not go with a lot of text and instead let the images speak for themselves a bit. If you’re familiar with my work, you’ll notice some old favourites in there, and maybe some images you’d never seen before. Each image has a caption regarding where it was taken, and when. What’s Next on the Photo Blog? I’ve got some fun stuff coming up on the site in the coming days and weeks. I’ve got some new camera gear to review. I’ve also got a new video from Jasper National Park. If you haven’t seen my video from Jasper where I got to give a quick interview question to Astronaut Chris Hadfield, first of all, check it out, and there are a couple more clips from him in that next Jasper video as well. Stay tuned.